By electronic mail dated September 25th with a heading that states « exchanges with the Presidency of the Republic », you have kindly copied to me (and also to other elected officials) your correspondence with the President of the Republic regarding the issues concerning the financial compensation of the COM for the new obligations and the present financial difficulties that our young Collectivité was confronting. Yet, as I was opening the attached files, I noticed that you inadvertently sent the same document twice, namely your letter dated July 20th, but failed to copy the reply that you have apparently received. Recently, as I was surfing the net and more specifically a local news website, I noticed that the document that was missing was actually online there – the reply issued by M. Guillaume LAMBERT, the adviser to the President of the Republic. The reply from the Presidency’s offices, some 10 months after your urgent solicitation and some 2 months after your urgent reminder, leaves me wondering, alarmed and stunned. Allow me a quick recap. Mister President, as we noticed the absence of consideration given by the conclusions of the Committee in charge of evaluating the new responsibilities of this Collectivité, amongst which were obligations for which the Commune collected allowances (allowances attributed by the legislator and funded by a tax – the Octroi de Mer – collected and paid, in Guadeloupe), in the name of my group, RRR, on January 9th, 2009, we have had a deliberation taken and voted which authorized you to take all necessary measures against the state and its services, and it also gave you mandate to call the state before the Court of justice to safeguard and defend the financial interest of this Collectivité. Since the voting of that deliberation, – whether during executive council meetings or during territorial council meetings – we have regularly reminded you and requested from you an update of the actions taken in that regard. According to your letter (copied to me), it is only by November 12, 2010 that you have finally decided to file a formal complaint to the President of the Republic in which you requested his urgent intervention as referee in the various litigations that opposed the COM to the State. Considering the silence, the indifference of the Presidency of the Republic to your request (the absence of acknowledgement of receipt of your formal request and worse yet, the absence of a reply), considering the fact that from a legal standpoint it had been more than three to four months that you had formed your request, according to your letter, it is then that you « decided to express your petitions by other ways, namely by way of a legal action”. 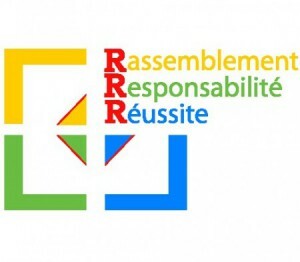 Would your willingness to provide information on the reply you received, be a clearly indication that you had no idea of what was being concocted behind your back in matters regarding your exclusive competency as head of the executive and legitimate representative of the Territorial Council and Collectivité of Saint-Martin ? I cite the reply you received from the President’s offices « On this matter, I can assure you that the offices of the Presidency of the Republic have been, for several months now, diligently working on this matter in direct collaboration with M. Louis-Constant FLEMING, Senator of St-Martin (…). Furthermore, the Head of the State has requested from his advisor M. (…) that he meets with you on these matters. I therefore ask, if you so wish, that you contact his secretariat (…) ». Mister President, I am alarmed, worried and stunned by the manner in which the authority that you are supposed to embody has been treated (or has agreed to be treated) and worse yet, I am appalled by the image that you provide of St-Martin and by the feeling that is derived from the manner in which this dossier has been treated. How should one understand and admit that in their disregard for you, the offices of the Presidency of the Republic have dealt and worked with the Senator on dossiers that are of your exclusive competency when he had not been mandated by you and you have not even been informed? I presume, Mister President, that had you mandated the Senator, you would have known that negotiations and discussions were ongoing for the past months and, Sir, you would not have risked being ridiculous by initiating a legal action and reminding the President of the Republic on a matter that had been receiving the highest attention for several months from the Palace of l’Elysée. – In which capacity and according to which mandate Senator L-C FLEMING intervened exclusively (without your knowledge and backing) in this dossier? – Following your visit in Paris this week, could you be so kind as to let us know what is the true progress that has been made in this matter, the strategy chosen, the arguments as well as the points of law used as the basis for your plea and to win this case in court? Our Collectivité, Mister President, can no longer continue to excel in being ridiculous and the authority and the executive power which you embody can no longer be treated and considered as the last wheel of the carriage.